Olivia Burton presents this beautiful Yellow Gold Tone The Classics Chain Bracelet. 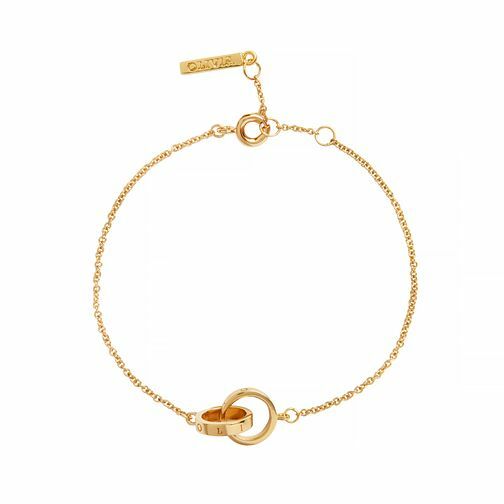 Simple in design yet stuniing in form, this bracelet features a sweet interlink chain bracelet is minimal, modern and timeless. Featuring a clasp fastening for the ultimate adjustability, this sweet gold-plated piece is yours to treasure. Olivia Burton Yellow Gold Tone The Classics Chain Bracelet is rated 5.0 out of 5 by 1. Rated 5 out of 5 by Anonymous from Bought for a birthday gift Lovely delicate bracelet. Bought for my daughter on her birthday. Packaging is nice too. Excellent delivery.